The 2008 SBCS convention began today with a lawn tour of the University of Virginia and BBQ dinner at The Farm - home of Architecture Professor Michael J. Bednar and Architect Elizabeth "Jo" Lawson. 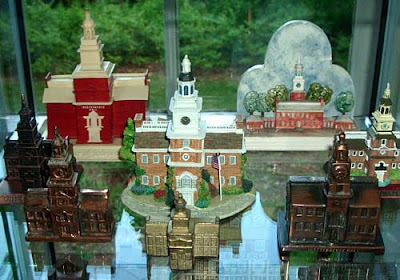 It was a meeting of old and new collector friends surrounded by amazing architecture - both of the historic house and miniature buildings. 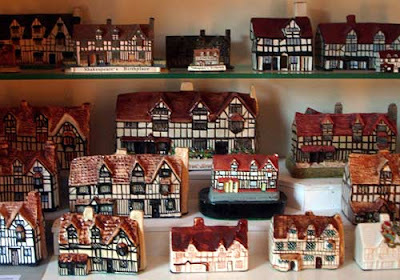 Highlights included thousands of ceramic buildings and a room dedicated to souvenir buildings from Pennsylvania.